Andrew Hall is the Co-Founder of Mealshare. Mealshare partners with restaurants, and places their logo next to a few menu items. When a customer orders a 'Mealshare Item' they get their meal, just like normal. And, they also provide one meal to someone in need! Buy one, give one. Andrew recevied a BCom degree from the University of Victoria. 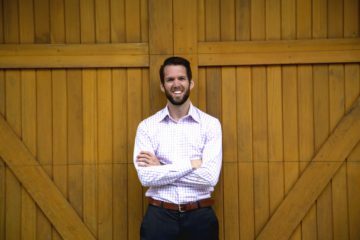 After graduating, he worked in consulting with Deloitte for a few years before following his passion to create a business that makes a difference. When Andrew's not growing Mealshare he's running, hiking, travelling, or trying something new.